*Science Fiction, Fantasy & Horror: Another SF update by publisher brings us to Penguin, known for their good taste in books. Our earliest book is a venerable 1946 copy of H G Wells’ Island Of Dr Moreau, only FA, but deserving a special mention for reaching it’s eighth decade. 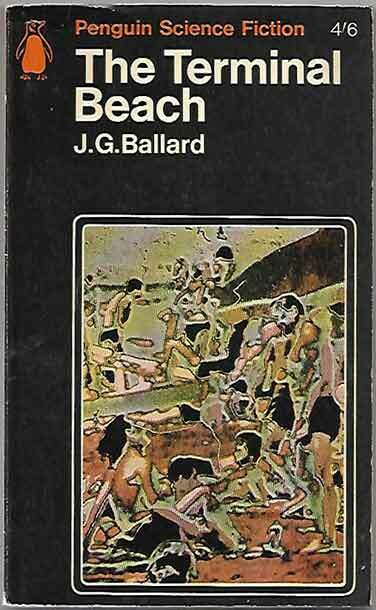 From the 1960’s comes Ballard’s The Terminal Beach, Bester’s Tiger! Tiger!, Boardman’s Connoisseur’s S.F., Judd’s Gunner Cade and Pangborn’s A Mirror For Observers. Finally two published in the 1970’s, Burgess’ A Clockwork Orange and Peake’s Titus Alone. Excellent books and some stunning covers, as the images show; what more could you ask?